India’s lack of toilets and poor access to sanitation are holding back its children, causing stunted growth and curbing their development, a new report says. he country has more than 48 million under fives with impaired growth, the largest number in the world, the report from London-based international development charity WaterAid said. India also has 774 million people without access to adequate sanitation, and 76 million without safe water, the report said. Children who are stunted because of malnutrition tend to be shorter and lag behind their peers cognitively. Poor access to clean water, sanitation and hygiene cause diarrhea and expose children to other intestinal infections during the crucial first two years of life. Around 140,000 under-fives die in India every year because of diarrhea and other diseases caused by lack of access to these basic services, the report said. Indian Prime Minister Narendra Modi has said in the past that he would rather build toilets than temples — setting a goal for every home in the country to have a place to go to the bathroom by 2019. 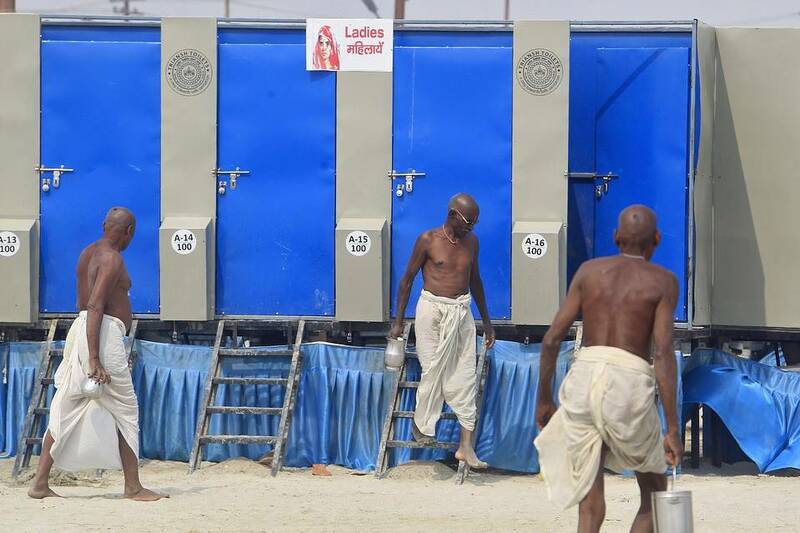 But the program has suffered challenges: some Indians prefer to relieve themselves outdoors. India is making some progress, however. The report said the percentage of its children who were stunted reduced from 48% in 2006 to 39% in 2014, the year Mr. Modi came to power. Pakistan, India’s closest neighbor, ranked third with more than 9.8 million children who are stunted, according to the WaterAid study. The above is not a comfortable reading. It goes to the basic habits, and sanitation is the main cause as stated above. However, Prime Minister Modi was very open about it. As stated above that some Indians prefer to relieve themselves outside! The habits need to be changed with providing the facilities and educating the people. Though some progress has been made, this is an encouraging news on this topic. Mr Modi has set the deadline 2019 (as stated above). His Government should take it as a priority.